El Dorado Hills and Greater Sacramento residents owe it to themselves to ensure that they’re getting the most out of their homes’ energy efficiency. Identifying problems that might exist, however, is typically the most difficult part of the challenge. Many people don’t realize that air loss within the home is a big problem; the amount of energy loss that usually occurs a difficult pill to swallow. The fact is air loss can occur in a number of different ways. Understanding where air loss is most likely to affect your home is the first step towards fixing the issue. Small Attic Gaps — Gaps in the attic are not at all uncommon. This is especially true of older homes, where small gaps can add up to create a perfect storm for energy loss. Attic gaps will never get better on their own, which is why it’s important to intervene the moment you discover they exist. Recessed Lighting Fixtures — Recessed lighting comes along with a number of benefits, most of which are aesthetic ones. A recessed fixture can make a huge difference in terms of the ambience of a room, but can also negatively affect your energy bill each month. Recessed light fixtures are notorious for air leakage, and many people don’t even realize that there’s an issue at hand until they have their home evaluated by an energy professional. Wire Penetrations — In just about every modern home, wires of various types run through walls and ceilings. Unsurprisingly, the wall penetrations caused by snaking wires are common sources of air loss. Things get even worse when holes are drilled improperly or are too large for the wires for which they’re built. Gaps in the Foundation — Just as the attic can be a source of air loss, so too can your home’s foundation. Gaps in the foundation can get worse over time, and can certainly contribute to energy loss if left unaddressed. 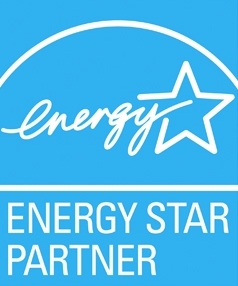 At California Energy Services, we pride ourselves in helping our customers make the right upgrades and take their homes’ energy efficiency to the next level. Making the right upgrades isn’t always easy if you don’t know what you’re up against, which is why we’re here to diagnose any issues. After all, no one should have to pay more than necessary for energy costs, and air sealing is often the solution you’re looking for. For more information and to schedule a home energy audit, contact California Energy Services today. Also, don’t forget to check out our $99 Heating & Cooling Maintenance Special!